Roslyn drivers looking for a state-of-the-art sport sedan need only look to the 2017 Acura TLX technology features. More than just a performance sedan, Acura has imbued the TLX with the latest in connectivity and infotainment features. Between standards like Bluetooth and a state-of-the-art infotainment system to the available EPS Studio Premium Audio System, this sedan reminds drivers that true luxury sedans succeed at all levels. Discover the technology that defines the modern luxury sedan as we explore the features of the TLX below. Further smartphone integration courtesy of Siri Eyes Free and AcuraLink Next Generation to bridge the gap between smartphone and sport sedan – you won't find features like AcuraLink on competitors like the Lincoln MKZ, either. You’ll be able to choose between two different audio systems on the TLX; the standard Acura Premium Audio System provides 7 powerful speakers to deliver your driving soundtrack in high quality. Drivers seeking the highest fidelity will want to upgrade to the ELS Studio Premium Audio System. This evolution of car audio was made possible by Grammy Award-winning producer Elliot Scheiner and features 10 speakers for an experience that is as close to being in the recording studio as possible. We've highlighted just a few of the 2017 Acura TLX technology features here, and we've found that the best way for drivers to see what the TLX is has to offer is to get behind the wheel. We can show you how easy the pinch and swipe touchscreen commands are and how simple it is to pair your phone or use the AcuraLink system. 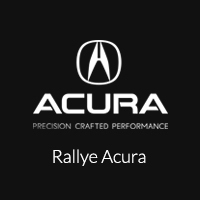 Discover the tech features that have been impressing drivers from Port Washington to Manhasset with a test drive of the TLX today at Rallye Acura. You'll find our dealership open six days a week at 1750 Northern Boulevard in Roslyn; give us a call at 516-508-9147 or reach out through our online form to schedule your test drive today. We can't wait to introduce you to the TLX!